"Thousand of years ago the great sage Bharadwaja, wishing to master all the vedas (scriptures), was advised by Indra (the ruler of the gods) to perform a yagna (Vedic ritual). Eager to have the Shakti (the consort of Lord Shiva) preside over it and receive her blessings, Bharadwaja left for Kailash (a sacred peak in the Himalayas), the abode of Shiva and Shakti, (male and female aspects fo God), to convey the invitation. Finding them coupled in the cosmic dance, Bharadwaja waited for eight days - apparently ignored by them, although he had failed to comprehend the welcoming smile cast at him by Shakti. Unhappy and disappointed, Bharadwaja decided to return home. But as he began to descend, he fell in a stroke, his left side paralyzed as a result of the cold and fatigue. Shiva then approached and cured him completely by sprinkling on him water from the Kamandalu (vessel). Consoled by Shiva, Bharadwaja was granted boons by both Shiva and Shakti, who also were pleased to attend the yagna. Shiva promised the rishi (sage) that they would both take human form and be born thrice in the Bharadwaja lineage or Gotra (religious kin group); Shiva alone at Shirdi as Shirdi Sai Baba; (Shiva and Shakti as Sathya Sai Baba), and then Shakti alone as Prema Sai." 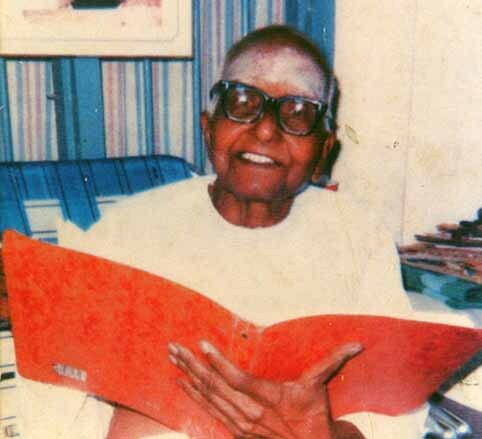 Swami revealed this secret when he cured himself from a serious and dreadful disease (which he purposefully bared which as actually of a devotee's) on 6th July 1963.As a compensatory act to the above incident (where Sage Bharathwaja was paralyzed), Swami, paralyzed Himself on His left side. But Himself being Shiva-Shakthi, Shiva (His right side) cured Shakthi (His left side) by the same sprinkling of water. This incident paved the way to the revelation of this secret by Swami. 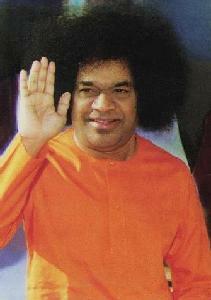 Sai Baba will incarnate again one year after his death as Prema Sai Baba. 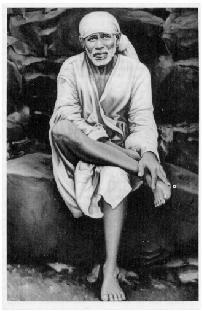 Sai Baba has manifested this picture of himself as Prema Sai Baba. Swami said that this Avathar will take place in Gunaparthi, in the Mandya dist of Karnataka. It is also said that Prof. Kasthuri will be the mother of Premasai. Why had this task to be divided into three separate incarnations of the Shirdi, Sathya and Prema Babas? They are not separate. I have already mentioned the complete oneness of the three in the final objective of the mission. I will give you an example. Take a kilo of gur (a sweet substance). The whole of it tastes sweet. Next break it into small pieces. Each of them is sweet. Finally break them into small grains. You find the same sweetness in them. So the difference is one of quantity and not quality. It is the same with the Avathars. Their tasks and powers requisite to them differ according to the time, the situation and the environment. But they belong to, and derive from, one and the same dharma swarup or divine body. The previous Avathar, Shirdi Baba, laid the base for secular integration and gave mankind the message [that] duty is work. The mission of the present Avathar is to make everybody realize that the same God or divinity resides in everyone. People should respect, love and help each other irrespective of color or creed. Thus all work can become a way of worship. 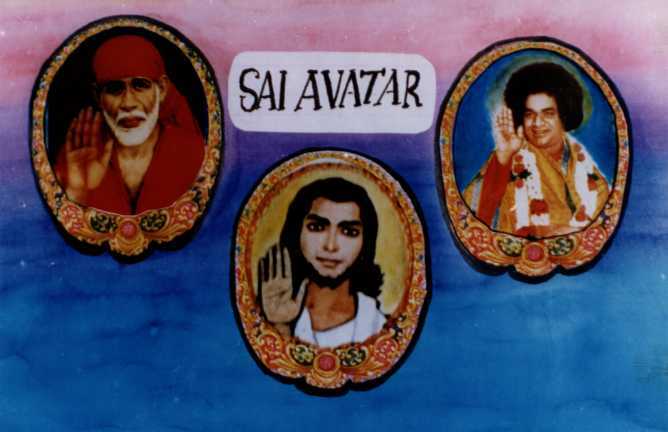 Finally, Prema Sai, the third Avathar will promote the evangel news that not only does God reside in everybody, but everybody is God. That will be the final wisdom which will enable every man and woman to go to God. The three Avathars carry the triple message of work, worship and wisdom. The third Sai, Prema Sai Baba, will be born in Gunaparthi, a village in the Mandya district of Karnataka, previously Mysore. (Source: Living Divinity by Shakuntala Balu). All together it translates into "Loving Divine Mother Father"